August 9, 2018 / Modified aug 9, 2018 4:21 p.m.
An artist rendition of NASA’s Parker Solar Probe observing the Sun. NASA is set to launch a new solar observation satellite Saturday morning. 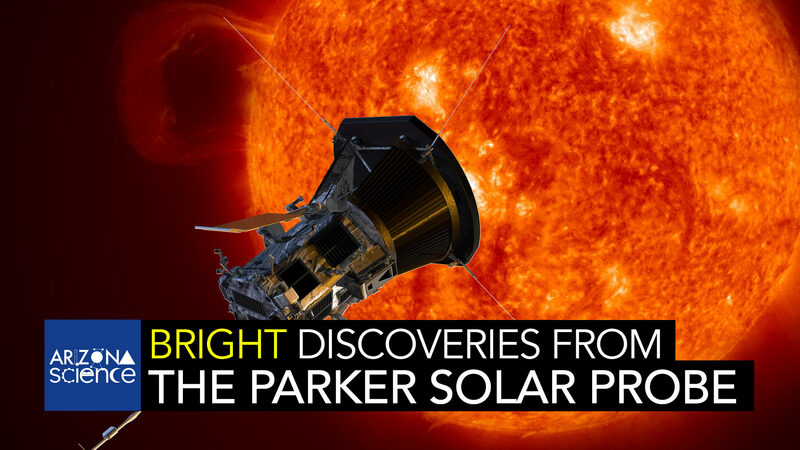 The Parker Solar Probe will fly to within 4 million miles of the sun in 2024, close enough to take the first detailed measurements of the sun's atmosphere, but far enough to keep from burning up. Tim Swindle of the University of Arizona Lunar Planetary Lab talks with UA astrophysicist Joe Giacalone, co-investigator for the Parker Solar mission. The will measure the solar wind, energetic particles that can pose a threat to astronauts on long-term trips in outer space.